St. Philip’s Friends of Music closes its Summer Sizzler concert series presenting The LoBros on Sunday, September 13, 2015 at 2:00 p.m. in the Church. The LoBros band is built around two musically talented brothers, Salvador and Christian Lopez, affectionately known as The LoBros. As artists, the brothers compose pieces that defy the usual musical categories, combining music from a variety of styles and genres including classical, Latin, jazz and traditions from around the world to create a uniquely original musical experience. 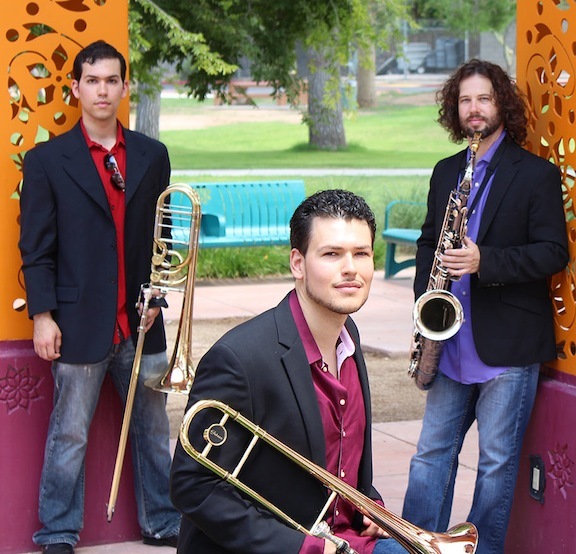 A trombone-led band, this music is sure to get your blood pumping! The lineup consists of Salvador Lopez, trombone; Christian Lopez, bass trombone; Brian Hicks, tenor sax; Joaquin Zamudio, bass; Richard Katz, keys; and Adam Ackermann, drums. St. Philip’s is located at 4440 N. Campbell Avenue at River Road. Ample parking is available in the north parking lot or under the solar parking structure on the east side. For more information click here or call (520) 222-7277. Recently called the “kings of edutainment,” The LoBros combine high-energy entertainment with effective education as they elucidate key elements of their music. With several music diplomas in the group, including two masters degrees and one doctorate, The LoBros are well versed in all things music and bring their passion to the stage. Featuring melodies and harmonies inspired by some of classical music’s greatest masters, including Mozart, Schubert, Beethoven, Vivaldi, Chopin, and Brahms, the incomparable synergy of this horn-led band makes for an unforgettable afternoon. 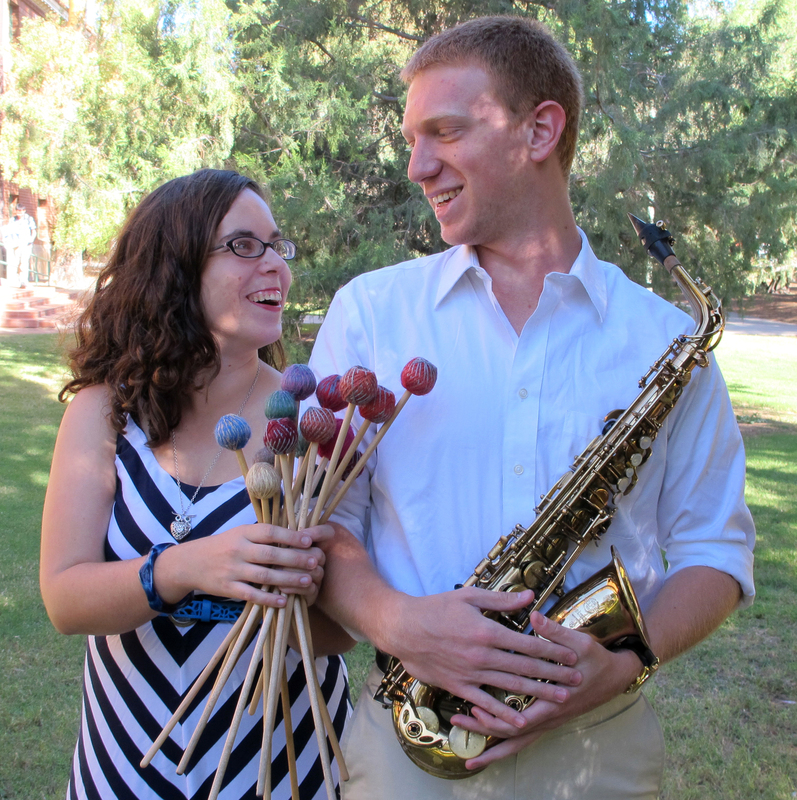 On Sunday, August 16, 2015 at 2:00 p.m. in the Church, St. Philip’s Friends of Music presents the Weiss/Soflin Duo: Michael Weiss, saxophonist and Elizabeth Soflin, percussionist. 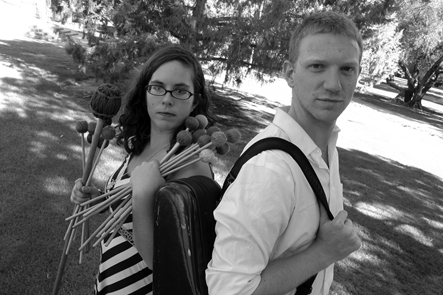 Formed in 2012, the Weiss/Soflin Duo is dedicated to exploring the wide variety of music available for percussion and saxophone, ranging from soft lyricism to unrelenting ferocity. This concert will feature music for four types of saxophone — soprano, alto, tenor, and baritone — and a plethora of percussion instruments. The program will include works spanning many musical styles: North Indian raga, contemporary classical music, jazz and pop-influenced works. Also included on the program is a world premiere of a new piece for saxophone and percussion duo by up-and-coming composer and University of Arizona alum Frederick Evans. St. Philip’s is located at 4440 N. Campbell Avenue at River Road. Ample parking is available in the north parking lot or under our solar parking structure on the east side. For more information click here or call (520) 222-7277. Elizabeth Soflin’s past performances have included appearances as a soloist and ensemble member at venues around the United States, Canada, China, and Europe. An avid performer of contemporary solo and chamber works for percussion, her recent collaborations with composers have included an adaptation of Christopher Adlerâs’ I Want to Believe, the premiere of Matthew Burtner’s Six EcoAcoustic Extensions, and private study with Stuart Saunders Smith. Before beginning DMA studies at the UA, Elizabeth earned a master’s degree in percussion from the University of Tennessee-Knoxville. She also holds a Bachelor degree in Percussion Performance from Central Michigan University. In 2015 she appeared in solo recital at the Tucson Museum of Art as part of the museum’s START program for young professionals in the arts, and as a solo guest artist at Northern Arizona University. She is currently the assistant band director/percussion specialist at Pusch Ridge Christian Academy in Oro Valley and works as a freelance musician in the Tucson area.